The contest runs through July 30 and is open to readers in Canada, the United States, the United Kingdom and Australia. You can enter for a chance to win, right here. Giveaway ends July 30, 2014. Things are a little quiet around here, probably because I’m busily writing another book and you’re off reading. Let’s have a contest! I have beautiful trade paperback copies of each of the Plume Anthologies and that gives me an idea. Post a comment below and tell me which of the anthologies you’d pick if you won the contest, and why. 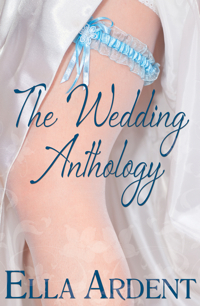 I’ll pick three winners who each get one anthology, and one lucky winner will receive all three anthologies! Just comment on this post, and make sure that your email address is correct. Contest entry will close in one week, at midnight eastern on June 11. I’ll pick a winner on June 12. The contest is open internationally. Please pass along the link. There are three copies available to be won and it would be wonderful to have lots and lots of entries!